Dig in and find out the similarities and differences between M1 Finance and Personal Capital. Learn which one’s best for you. In this technologically-driven, always moving world, few things are quite as important to us as flexibility, reliability, and customizability. We need our technology to work for us, and we should expect the same of our investments. Customizability is one of the biggest draws to a robo-advisor like M1 Finance. While Personal Capital offers certified financial planner access to all of its paid users. 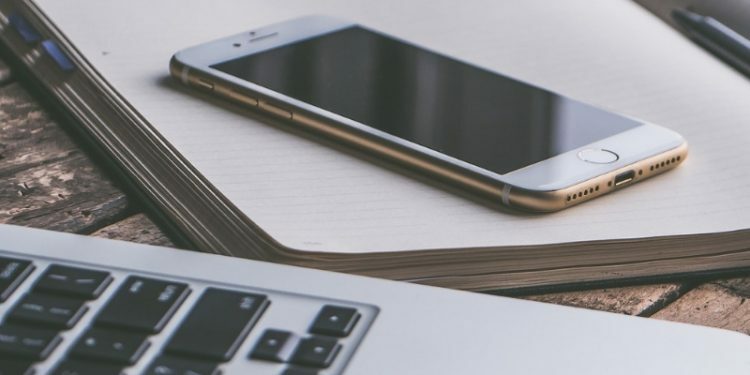 Although both are considered fintech robo-advisors, these two investment platforms are more different than they are alike and suitable for two distinct types of investors. M1 Finance is a robo-advisor we frequently praise for being very affordable (read: free!) with 1,000’s of investment options. While Personal Capital provides personal guidance, and comprehensive investment management, for a fee. Although, Personal Capital does offer a free retirement planner and excellent financial tracking software. Personal Capital vs M1 Finance: Who Benefits From Each Robo-Advisor? Visit the Robo-Advisor Selection Wizard, take a quick quiz, and find out which robo-advisor is the right one for you. Despite these differences, the two prioritize customizability and strive to give their clients clear visual representations of how their money is working for them. Overview Free robo-advisor with opportunity to customize investments. Personal Capital integrates your financial accounts and provides insight and direction about how to best allocate your money & investments to yield the greatest long term financial outcome. Minimum Investment Amount $100 No minimum amount for access to free tools. $100,000 minimum for access to paid investment management services. Fee Structure Zero fees for investment management. Per service charge for mailed statements, account closure etc. Zero fees for access to free investment management tracking & recommendations. Paid investment management charges graduated fees. For assets between $1,000,0000-$3,000,000 .89% of AUM. Fee drops to 0.49% for accounts over $10,000,000. Top Features Unlimited variety of investment vehicles & strategies. Choose your own investments or pick from pre-made investment portfolios. Access to socially responsible funds. Rebalancing. Paid feature includes access to dedicated financial advisor. Investment & financial account analysis & recommendations, retirement planner, rebalancing, tax-loss harvesting, saving & spending tracker, retirement planner & more. Free Services No management fees. Includes free rebalancing + buying and selling securities. Spending, saving & investment transaction & performance reports. Retirement & 401(k) fee analyzers. Net worth tracker. Asset Allocation report. Recommendations for improvement & more. Contact & Investing Advice Phone (M-F) and email, 7 days per week. With paid service, Personal Capital Advisors, you gain access to a dedicated, licensed financial advisor. Investment Funds Stocks, bonds, funds, and more. The paid Personal Capital Advisors invests in individual stocks (for large accounts) & stock, bond & alternative ETFs. Accounts Available Single + joint taxable brokerage. Roth, traditional, rollover + SEP IRA. Trust. Business accounts. Individual & joint investment accounts. Roth, traditional, SEP & rollover IRAs. Trusts. Promotions Ongoing free investment management. Superb free money and investment management dashboard. M1 Finance applies the concept of pie to investing—and no, not the 3.14 variety or yummy apple pie. Each investment in your portfolio is considered to be a slice of the pie and represents a specific percent of all of your investments. Users can customize up to 100 slices of pie from over a thousand different investment options, which gives you a whole lot to choose from. M1 Finance is relies on algorithms for automatic rebalancing back to your preferred percentage allocations and does not offer access to human financial planners. General Investing – perfect for well-balanced investments that match up with your risk level. Personal Capital offers greater functionality than M1 Finance. This robo-advisor has multiple options to choose from. For users who want to use Personal Capital’s free features, there’s good news – their retirement, spending, and saving trackers are secure, high quality, and link to your existing accounts. Net Worth and Account Balances. Personal Capital also offers premium features for investors, including access to human financial planners, a comprehensive financial plan, tax-loss harvesting, college savings planning and help with all financial decision-making. 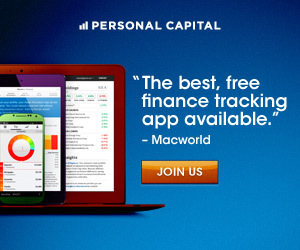 I am invested with M1 Finance and use the free financial tools at Personal Capital, and like both platforms – a lot. Go directly to the Personal Capital website to sign up for the free investment dashboard, tools and reports. Both of these robo-advisors have a lot to offer to a wide range of investors and Personal Capital’s free investment dashboard is great for anyone that owns stocks, bonds or funds. However, each platform has crucial selling points. There’s tremendous differentiation in this category. Beginner investors will appreciate the opportunity to get into the markets with the $100 minimum and zero account management fees at M1 Finance. Investors with more money available for immediate investing would feel secure in Personal Capital’s human financial planners, which are available to premium customers. Retirees will certainly benefit from Personal Capital’s free retirement planner, but why wait? Anyone at any stage of their career can link up their retirement accounts to the Personal Capital Dashboard and anticipate future roadblocks to saving. M1 Finance is accessible to all swaths of investors due to is free account management and small $100 minimum investment requirement. Plus, there are no trading fees. The only fees that you pay are those low management expense ratios, levied by the exchange traded fund – ETF – company. Any investor seeking a free financial management dashboard would be well served to sign up for the free Personal Capital dashboard. You can click here and go straight to the Personal Capital site to link your accounts. It only takes a few minutes. After linking your accounts you have access to investing, budgeting and retirement tools – for free. Wealthier investors seeking comprehensive financial management for fees lower than a typical human financial advisor, benefit from using the Personal Capital Advisors. With a $100,000 minimum and 0.89% management fee the paid service targets the mass affluent and wealthier client. As assets under management grow, the investment management fees shrink to 0.49% for accounts worth more than $10 million. Although the Personal Capital managed account management fees are higher than many robo-advisors they are on the low-end of traditional financial advisor services. This one goes to Personal Capital by a longshot. While M1 Finance’s algorithms rebalance clients’ portfolios automatically, there is no access to a human certified financial planner through this robo-advisor. Personal Capital customers who pay for premium services have unlimited access to a Certified Financial Planner for a range of investment and financial questions. 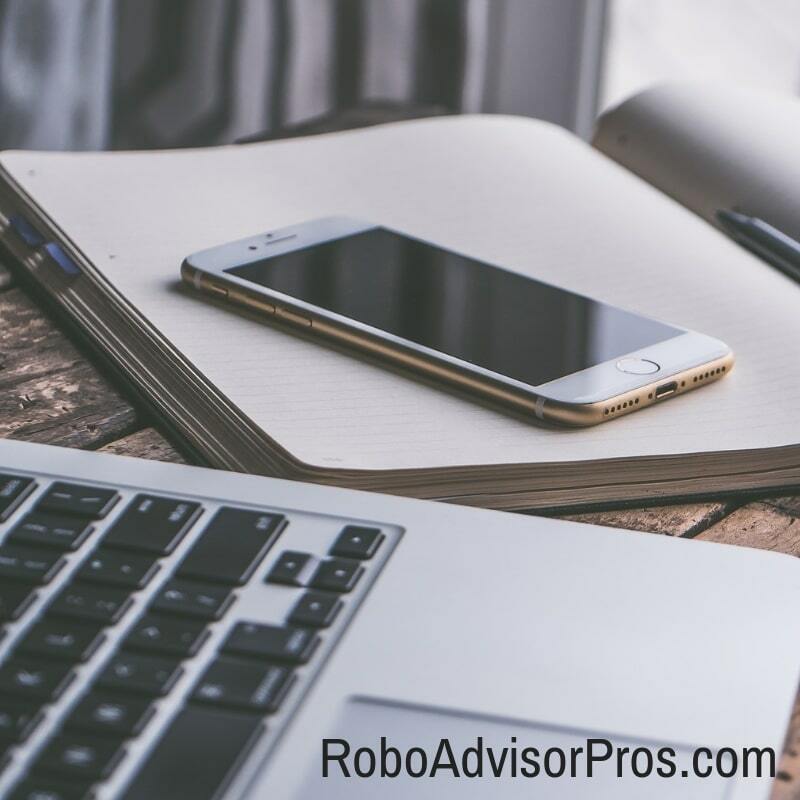 For investors with tax, college planning, estate planning and more sophisticated money issues will be better served by the full-service Personal Capital robo-advisor. Both M1 Finance and Personal Capital offer trusts, traditional, Roth, and rollover IRAs, and individual and joint taxable accounts. In addition to these, Personal Capital also offers SEP IRAs. However, M1 Finance has a bit more diversity: the robo-advisor also offers LLC and partnership business accounts. Individual and joint investment accounts. Roth, traditional, SEP & rollover IRAs. Individual and joint taxable accounts. Traditional, Roth and rollover IRAs. Corporate, LLC, and partnership business accounts. Ultimately, if you’re seeking a basic investment, retirement, or trust account, either M1 Finance or Personal Capital will suffice. But, for investors who want an investment account for their business M1 Finance is your solution. 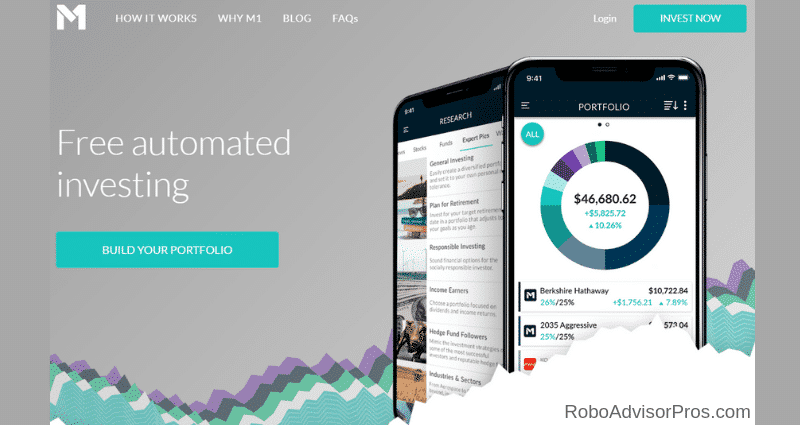 M1 Finance just might offer the most customization of any robo-advisor on the market. Clients of M1 Finance are able to choose from thousands of investment options and customize up to 100 “slices” of pie within their portfolios. This gives users flexibility and personalization that is lacking in many other robo-advisors. If you’re seeking more portfolio set up help then M1 Finance also offers pre-created investment portfolios., M1 Finance also offers many types of premade choices as outlined above in the “Top Features Overview” section. M1 Finance also offers loans to their clients. Soon, M1 Finance will be adding cash management services such as direct deposit, checking and savings accounts, as well as a debit card. Consider Personal Capital as a full service financial advisor, with lower fees, integrated computerized investment management and unique add on services. In addition to a financial plan, Personal Capital investors receive a customizable portfolio of stocks and ETFs. Their investment strategy equal weights all sectors, as opposed to other robo’s which market-weight their investments. Personal Capital’s research realized approximately 1 percent higher returns with this strategy. Personal Capital also provides access to a wide variety of investments including individual stocks, U.S. and international stock funds, various bond funds, and alternative investments spanning real estate, gold, energy and more. In sum, the customization and investment portfolios of M1 Finance and Personal Capital are unique. For investors with a small amount of money or seeking zero account management fees, M1 Finance is the best solution. While investors seeking full service financial planning and investment management are best served by Personal Capital. Despite both focusing on customizability, the M1 Finance vs Personal Capital robo-advisors shows more differences than similarities. While both robo-advisors can certainly offer great benefits to the general public—especially where Personal Capital’s free services are concerned—they are still geared toward very different investor profiles. M1 Finance is easily accessible to most investors with its $100 minimum investment and zero account management fees, while Personal Capital charges higher account management fees in exchange for human financial planners and a hands-on approach to investing. What investors need to decide when choosing between these two is: What type of investment management platform do you need? Typically, older more affluent investors with more complex financial situations will gravitate towards Personal Capital. Younger and DIY investors can go-it-alone, without financial planners. If M1 Finance clients need added advice, they can always pay a fee only financial planner for hourly advice or buy per-service advice such as Betterment’s financial planning packages. 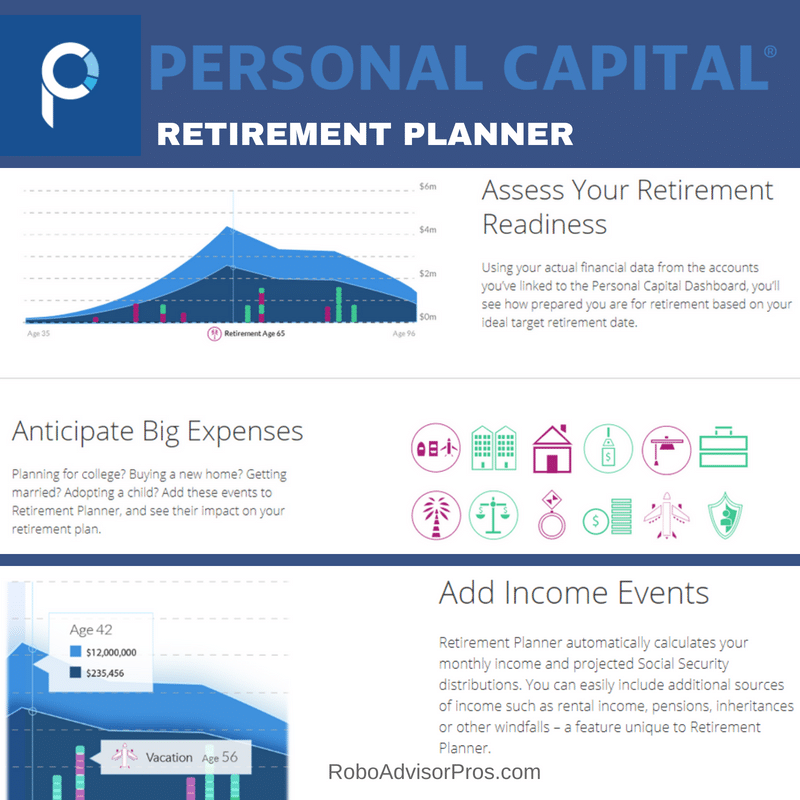 Regardless of which robo-advisor you choose, sign up for the free financial dashboard, investment tracking, budgeting, retirement planning, and other tools from Personal Capital. Still undecided about which robo-advisor to choose? Disclosures: I have an account with M1 Finance and I have a free account with Personal Capital, where I use the free financial management tools. M1 Finance vs Vanguard Personal Advisor Services - Should I Pay for a Robo-Advisor? I’ve had an account with Personal Capital for three years and like their investing approach. The fees run 0.79% for my sized account which is significant but I like having the diversity of methodologies since my other accounts are at pure index fee Robo’s(Vanguard and Betterment). Hi Steveark, When your assets are sizeable, it’s nice to have some variety in your investment approaches. The access to a segment weighted portfolio, tax loss harvesting and financial advisors are all advantages of Personal Capital. Glad that you’re pleased. The fee is certainly less than with many financial advisors.